PLEASE NOTE: The DP168F is an OHV Engine designed for general purpose use. If used for recreational or Motorsports use it is highly suggested that an after market SFI approved billet flywheel (ARC 6619) and billet rod (ARC 6270) be used for dependability and safety. The Clone engine is shipped ready to install your accessories. Fuel tank, governor, muffler and air cleaner are not included but available. The throttle rod and springs are provided for mounting a top plate / throttle kit. 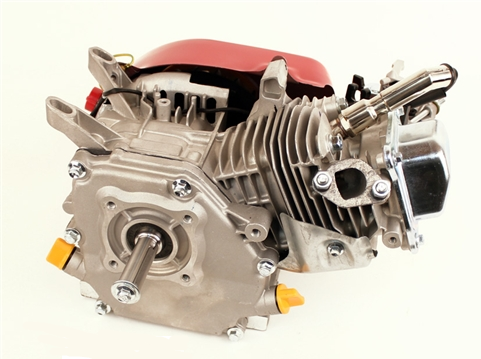 ***PLEASE NOTE*** as of 8/23/2012 engines do not come with a flywheel or cam. However, the lifters, push rods, fan, starter cup and flywheel nut are included with the engine. 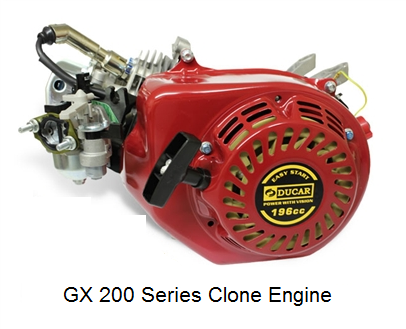 Check out the Clone Engine Performance section for aftermarket flywheels, cams, connecting rods, etc.